How Can We Get Young Californians to Prepare for Their Financial Future? The good news: It turns out the millennial generation (born between 1982 and 2003) are super savers, and have banked more than either Generation X or baby boomers had at the same age. The bad news: Millennials hop from job to job so often that they lose thousands in potential 401(k) retirement savings. Perhaps worse: Most of this new labor force will not retire until age 73. That will leave your average millennial with about 11 years of retirement to enjoy, given an average life expectancy of 84. 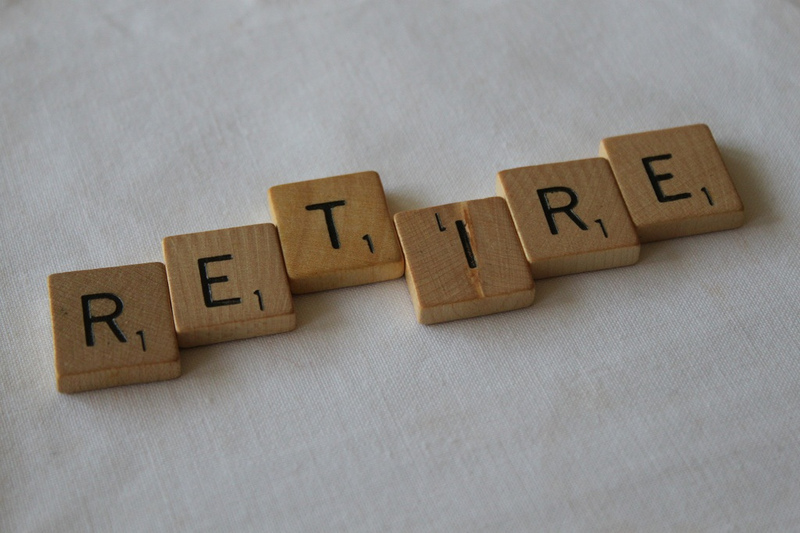 Will short (or nonexistent) retirements simply be the “new normal” for an entire generation? Or can young people who are carrying college debt, struggling to find full-time jobs with health insurance, and putting off marriage and home-buying be convinced of the importance of financial planning? In advance of the Zócalo/AARP event “Will Young Californians Ever Be Able to Retire?”, we asked experts on retirement the following question: What can either the private or the public sector do to get young Californians to save for retirement? Our current “do-it-yourself” pension model requires individuals to save voluntarily for retirement in self-directed, commercial accounts—with no consumer protections against conflicted advice or hidden fees, and with no way to pool risks of living too long or a financial crash. If we stick with this model, young Californians will have a very difficult time retiring in the manner of their parents and grandparents. Some simple things will allow young Californians to count on a period of time when, after a lifetime of work, employment will be optional. For instance, the California Secure Choice legislation—which automatically enrolls some private-sector workers in retirement savings plans—should be expanded to offer all Californians a safe and efficient place to automatically save money for retirement. Up to this point, policies have designed systems—like employer retirement plans—that allow people at older ages to choose to work or not choose to work. But now pensions are eroding, and most California workers do not have a workplace retirement plan. The Secure Choice plan will help young Californians save for their retirement in efficient vehicles that do not encourage withdrawals, do not force Californians to save in only retail liquid investments, and guarantee a portion of their account. The design for Secure Choice plans should have a few important features. First, workers should contribute at least 5 percent of their pay, and their contributions should be partially subsidized by a tax credit from the state of California. That tax credit could easily be paid for without any new expenditure by converting the tax deduction for contributions to a retirement account into a universal refundable tax credit. Second, the money put into a retirement account should be managed by a nonprofit professional organization, such as one of the well-run large California public employee investment trusts, like CalPERS or CalSters. Third, the account balances should be available only at retirement, so there is no leakage, and they should be paid out in a lifetime payment. Young Californians might be able to control their lives after work, but only if we help them save for their own retirement in a safe place with low fees. Teresa Ghilarducci is a professor of economics at the New School for Social Research, New York and author of When I’m Sixty-Four: The Plot Against Pensions and the Plan to Save Them. Deciding how much to save for retirement is a complex decision process that requires making several assumptions: What investment return will you earn on your assets? How much inflation will there be in the future? How long are you likely to spend in retirement? And what types of healthcare costs will you be responsible for? These calculations may be particularly difficult for younger people, as the farther someone is from retirement, the more unpredictable these factors can be! Even if one is equipped to make these difficult computations, carrying out a retirement savings plan may involve difficult choices. People planning for retirement must set a budget regarding spending today, and must take the time to navigate through a lengthy and confusing enrollment process. This process leads many to throw their hands up and decide that they’ll save more “tomorrow”—the same day they’ll start their diet and their new exercise plan. This delay can be extremely detrimental toward building retirement wealth. While many employers and financial service companies have tools designed to help people develop appropriate retirement savings targets, many of the people who could most benefit from them are not using them. This lack of motivation could be mitigated by providing financial incentives to use these tools. Defaulting people to participate in employer savings plans, providing a generous match (where employers contribute to employees’ savings), and simplifying the enrollment process can also encourage people to save. Of course, for many young Californians, the first step to saving for retirement may be to pay down existing debt that is subject to high rates of lending. For these individuals, providing access to or incentives toward obtaining more comprehensive financial counseling could pave the way toward higher rates of saving and financial security. Gopi Shah Goda is a senior research scholar at the Stanford Institute for Economic Policy Research. She studies topics related to the retirement, saving, and healthcare decisions of older Americans. Our camera crew traveled across the country listening to Americans reckoning with their inability to retire for the documentary Broken Eggs, a film about America’s looming retirement crisis. From the bankrupt city of Stockton, California, to the gridlocked halls on Capitol Hill, one simple truth emerged from the stories we heard: Saving is easier when it’s a habit—or in smartphone-speak, when it’s automatic like an app. Today’s retirement plans could be improved by helping young Californians be creatures of good habits, encouraging them to save more and more often. One way to do that: Automate the savings process. That was the refrain we heard from experts like Mark Iwry, the country’s lead architect for retirement savings. As the deputy assistant secretary for retirement and health policy at the U.S. Department of Treasury, Iwry recognizes the need for “automation”—especially for those least likely to save. To that end, Iwry is pushing policy for what are called auto-IRAs. This approach requires employers without retirement plans but with more than 10 employees to direct a portion of each paycheck into an IRA automatically. The aim is to get those employees who are working for companies not yet willing to sponsor a plan into the habit of saving. Employees could choose to opt out. Still, America’s retirement plan can’t run completely on auto-pilot. Money socked away in Social Security, pensions, and 401(k)s is too often an overlooked line item on a pay stub. To ignore those numbers is to ignore the risks of these forms of saving. Social Security is on track to insolvency; pensions are largely underfunded; and 401(k) plans are subject to volatile markets. Perhaps what we, auto-Americans, really need is a culture shift–a personal commitment to make saving for retirement a more conscious habit. Now let’s hope Californians can develop an app for that! Emily Probst Miller is a producer and writer with a decade’s worth of award-winning documentaries, enterprise investigations, and breaking news specials for CNN’s signature talent. In her most ambitious project to date, she directed the documentary Broken Eggs, a feature-length film on the looming retirement crisis in America. Young people have a lot on their minds. Thinking about saving and investing for retirement may be pretty far down the priority list. But there is a lot that public policy and private employers can do to help young people get on the path toward saving and accumulating wealth, and to hopefully one day becoming financially independent. The most important thing to do is to make smart default options for young people when they join employers. The default should be to enroll young people in the company 401(k), making it optional to leave rather than to join. This way, natural procrastination will not stop them from making wise decisions about their future. Contribution rates should slowly increase over time automatically, which would capture some salary raises. This would allow young people to save more without impacting their lifestyle. In addition, employers and policymakers must provide low-cost default investment options that will set people on the right path with their savings. It’s not necessarily efficient for everyone to become extremely knowledgeable about saving and investing. But young people should also be encouraged to improve their financial literacy, which is why it is important for employers and the government to take the lead in designing prudent default options to get young people on the path to financial independence. Wade D. Pfau, Ph.D., CFA, is a professor of retirement income in the Ph.D. program for financial and retirement planning at The American College in Bryn Mawr, PA. His Retirement Researcher blog keeps readers up-to-date on new developments in the field of retirement income planning. *Photo courtesy of Philip Taylor.